It’s always nice to be pleasantly surprised when traveling. We embrace being surrounded by the unfamiliar – it’s one of the reasons we love to explore! – and finding hidden gems and off-the-beaten-path treasures brings true pleasure. One of our favorite ways to discover new places is through wine tasting. 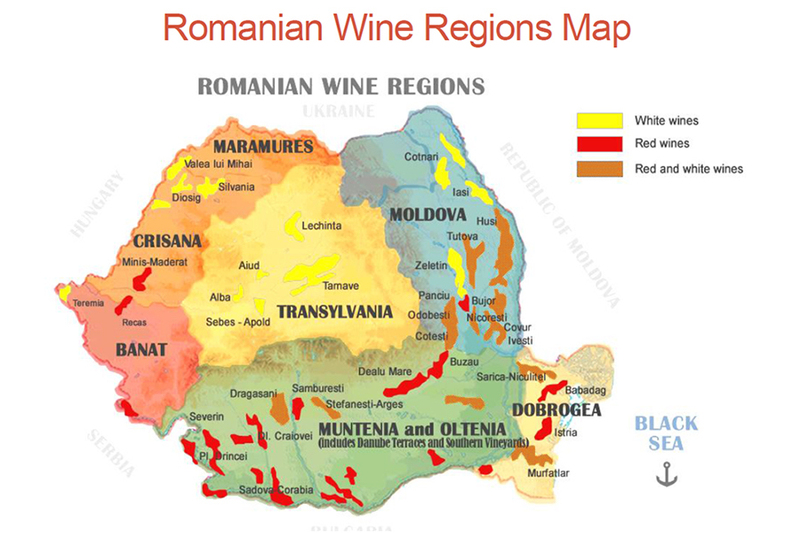 When I mentioned Romania’s blossoming wine scene to a Romanian friend back home, she was both incredulous and interested. Clearly we had some investigating to do! 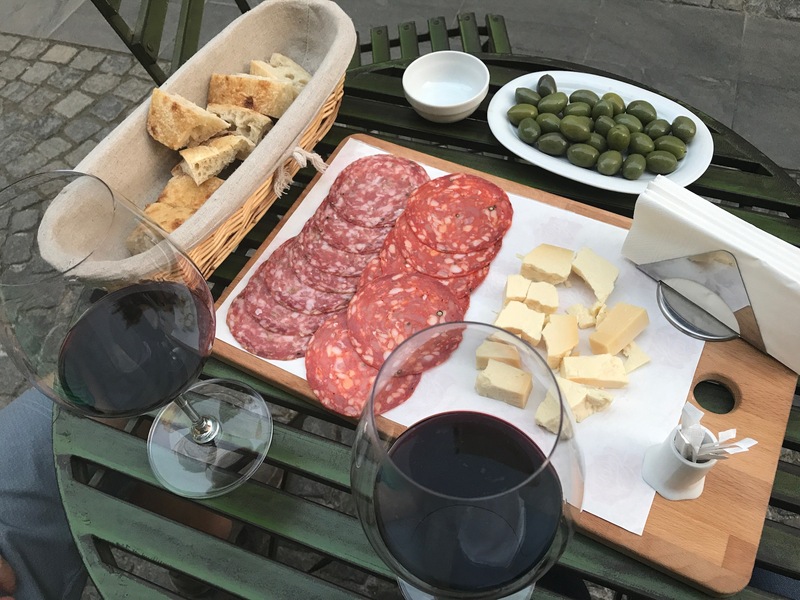 When we arrived in Bucharest and checked into our Airbnb, our host recommended a little place down in the Old Town called Industry Wine Bar. During our first visit, it took us all of 10 minutes to become hooked. The owner Sorin and his girlfriend Cami were welcoming, helpful, and very friendly. 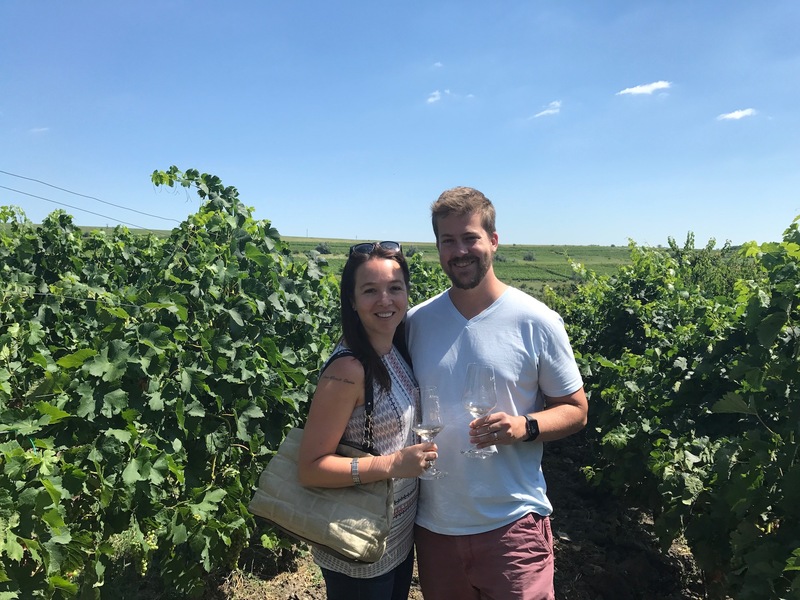 They let us sample local Romanian grape varietals, and steered us towards exciting and excellently-priced wines. After we’d been a couple times, they told us about their own Cabernet Franc. Sorin had made this small batch from his own vines and it sounded like heaven. We managed to endear ourselves to him and Cami to the extent that they offered to bring us a bottle from their dwindling, remaining stash. This rare treat rewarded our patience with its dry, leathery, dark fruits. Drink local, people! 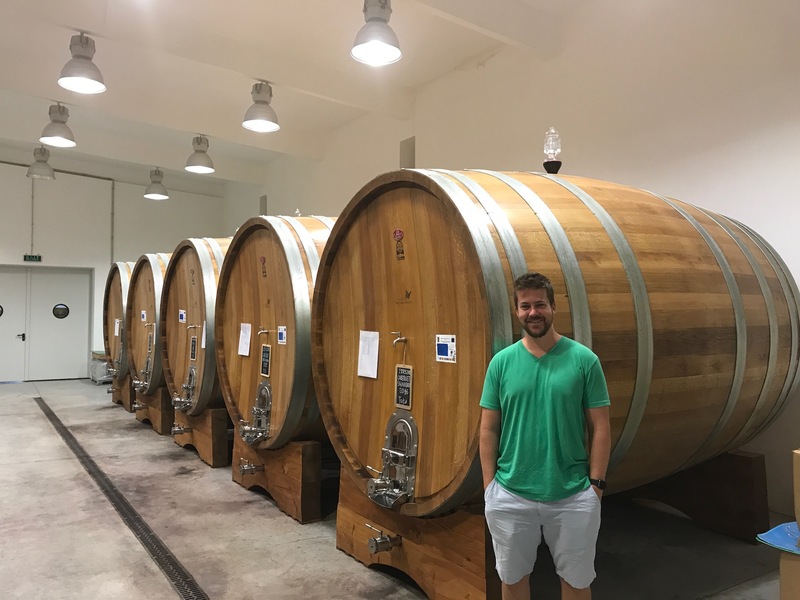 In addition to discovering our new favorite wine bar, we planned to visit some wineries near Bucharest. 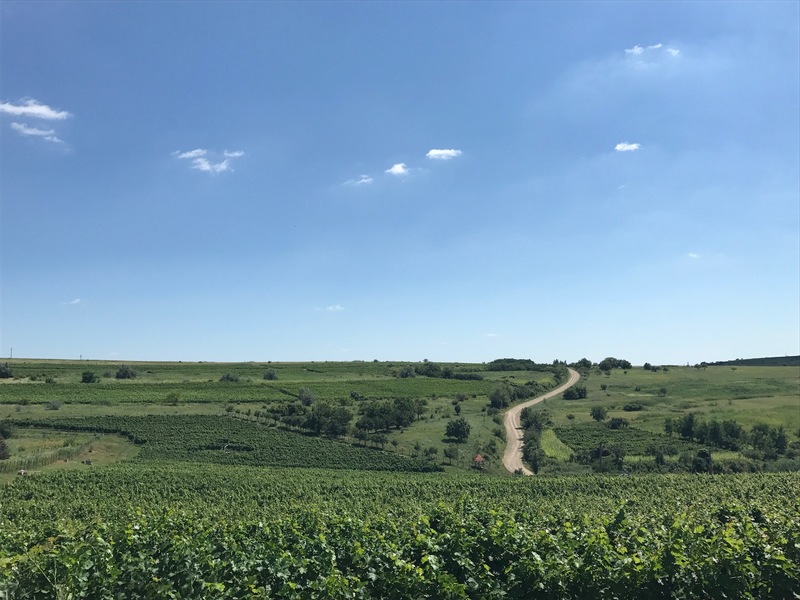 Romania has a number of well-developed wine regions, but the closest to the capital (and one of the most well-known) lies just an hour north by car. The Dealu Mare region sits nestled against a long, low ridge of hills and valleys a bit southeast of Transylvania. All the towns and vineyards are surrounded by unending corn and sunflower fields. 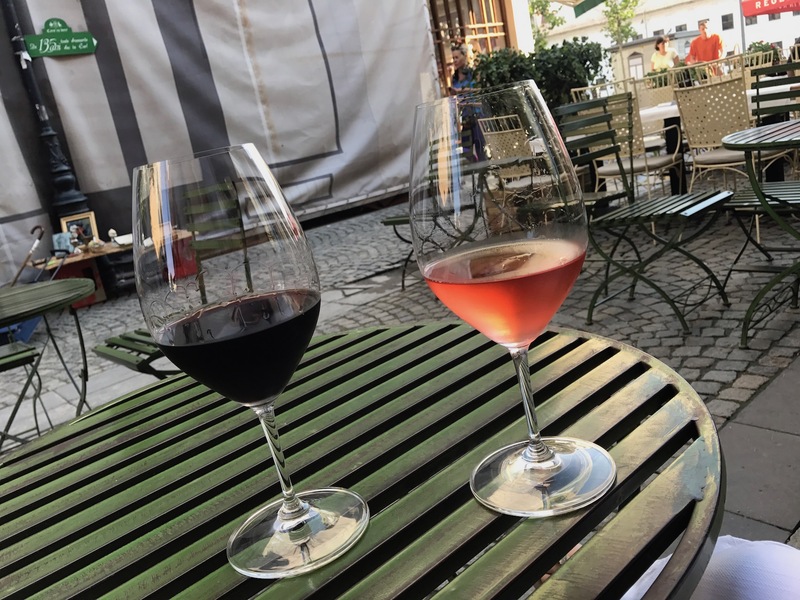 Around 12 wineries make their homes there, and Sorin and Cami recommended two in particular: Viiles (or Vitis) Metamorfosis and LacertA. 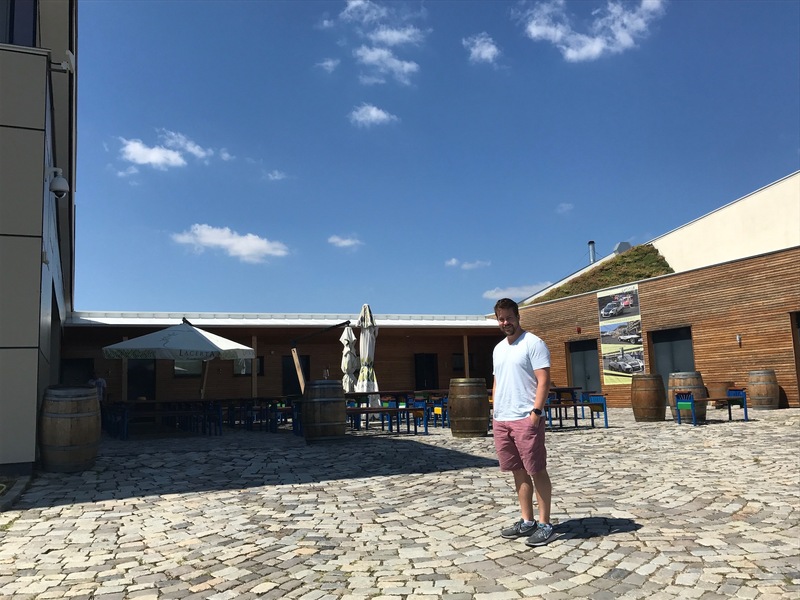 We decided to visit the wineries on our way up to and back from Transylvania, since they were (sort of) on the way. Metamorfosis was not open on Sundays, so we scheduled our stop for the way up. A friendly and helpful young woman named Ana welcomed us and led us through an extensive tour of the winery’s facilities. They were rehabilitating many of their 50,000 and 100,000 liter (!!) tanks and preparing for harvest. 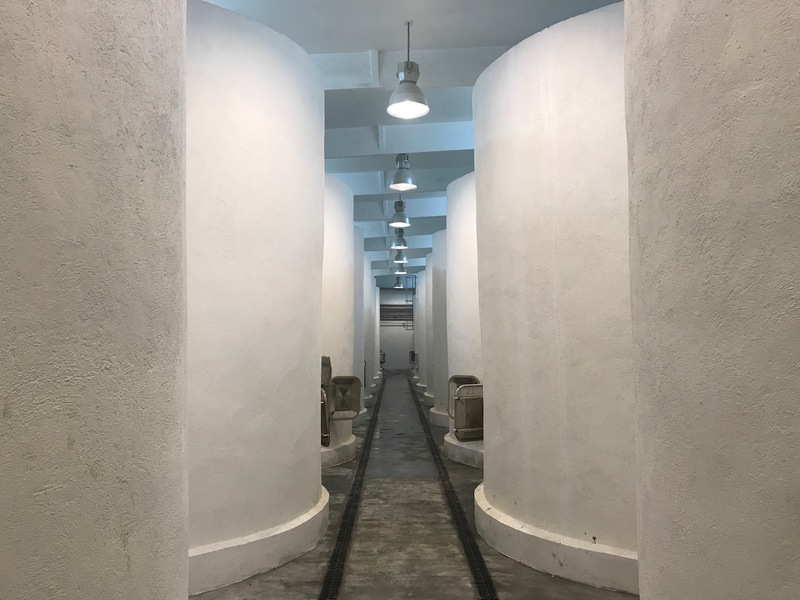 The winery takes its name from the Roman poet Ovid’s famous masterpiece, the Metamorphoses. 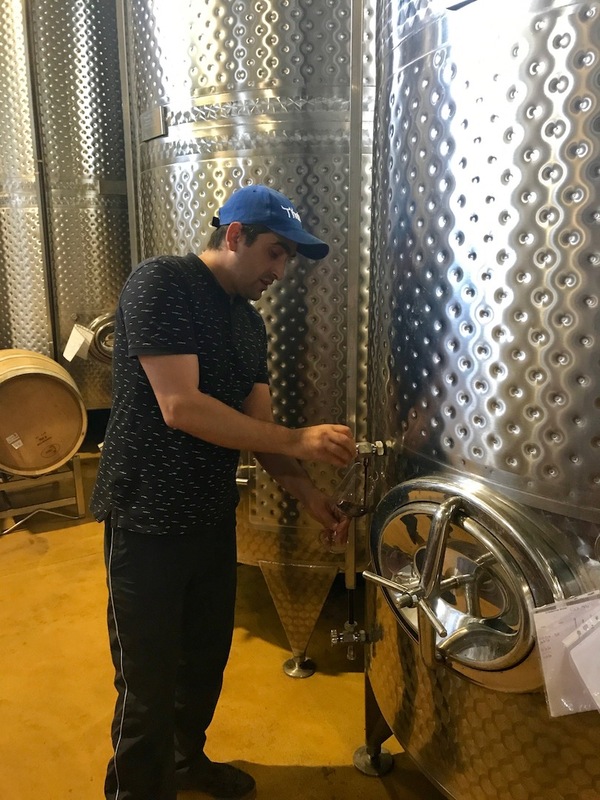 It lays out the history of the world from its creation to the deification of Julius Caesar, and the winery embraces the processes of growth and change celebrated in its verses. A passage from the poem even adorns the label of their first wine (in Latin, Romanian, and English). 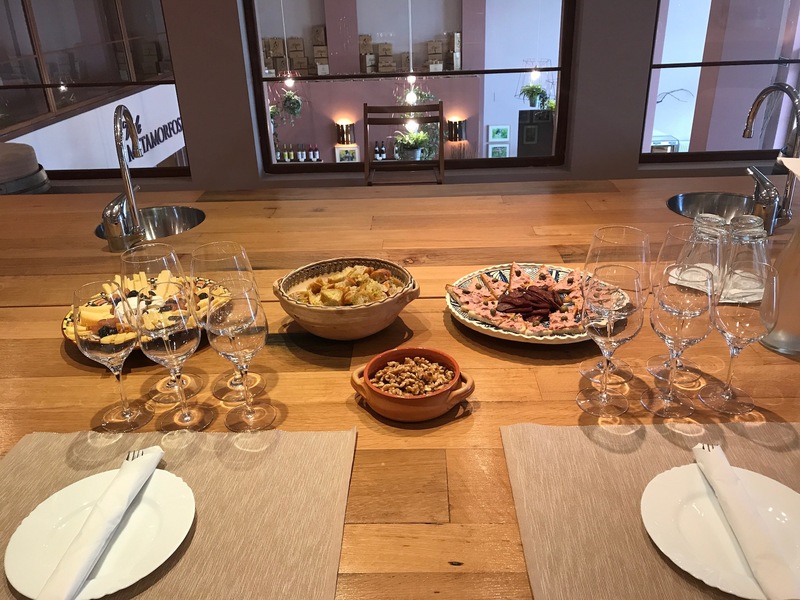 We ended our tour with a tasting, several scrumptious plates of food, and many suggestions from Ana. And of course we had to buy a bottle of that first wine, the Cantus Primus (or “first song”) for our trip north. After having such a lovely experience at Metamorfosis, we drove out to LacertA on Sunday with reasonable expectations. 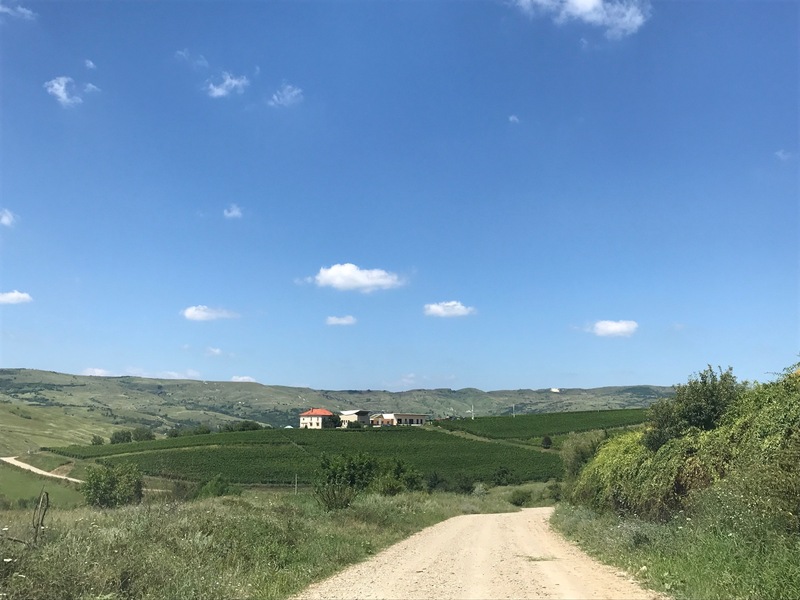 The winery and villa are perched on a small hill overlooking a lush, green valley just over the ridge from Metamorphosis. Their hearty vines surround the buildings, and our guide Marian brought us out into the grapes to see them changing colors. They’ll begin harvest next month – significantly earlier than in California, for example. 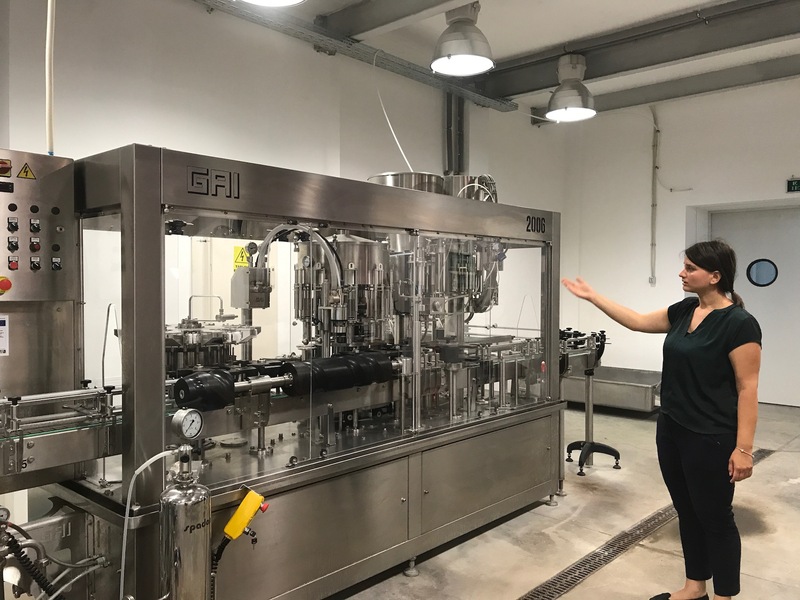 We tasted Shiraz and a local, Romanian varietal straight from the tanks before filtration, and a Merlot post-filtration. 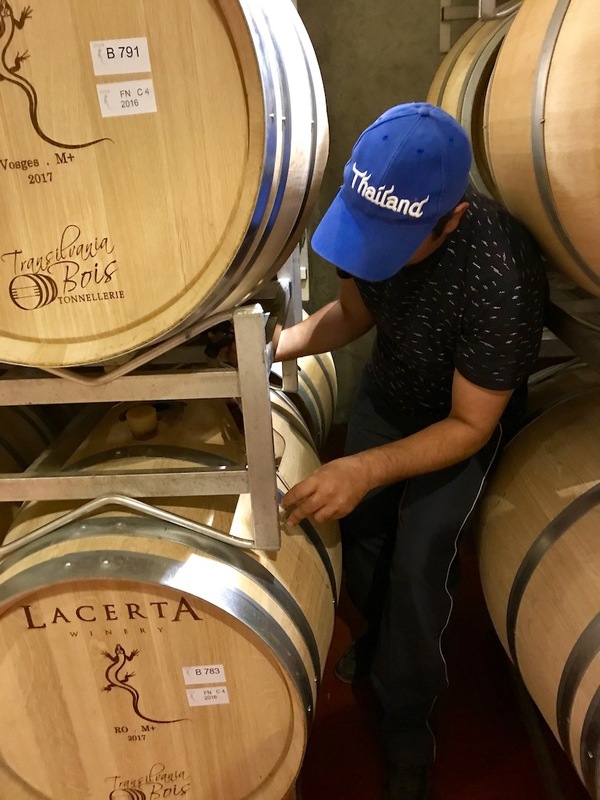 LacertA uses four different kinds of oak barrels (from Romania, Hungary, France, and America) and blending the contents of those barrels together creates some interesting and flavorful wines. Once we finished the tour, we opted for the “Intensive Tasting:” six of their 12 wines, but we could sample another one or two if we wanted, according to Marian. We ended up tasting around 10 wines in all, and bought three bottles because we couldn’t possibly pick one favorite. The whole experience set us back less than an average trip to the Alamo Drafthouse. Between the views, the hospitality, and the quality of the wines, we were ready to become wine club members. Too bad they don’t ship to the California! If we had more time (somehow a month isn’t enough!) we would visit every winery within 100 miles of Bucharest. Our new favorite grape – Feteasca Neagra – isn’t widely available in America…yet. We’re hoping that changes soon!